If you’re looking for lawn care in Sharpsburg, GA then Nature’s Turf has a variety of options to offer you. As a family owned and operated company, we are thrilled to bring over 35 years of experience to the Sharpsburg area with the best lawn care services available. The lawn care professionals at Nature’s Turf are dedicated to maintaining the highest industry standards for the safety of your family and the beauty of your lawn for years to come. Our Sharpsburg lawn care services are structured around your specific needs and we will work with you to develop a treatment plan of action that meets the needs of your property. Every yard is different and requires different care to thrive. Nature’s Turf is not a one-size-fits-all lawn care company. We take into consideration a number of factors when creating a treatment plan for your yard. Nature Turf’s lawn care in Sharpsburg offers a satisfaction guarantee, and we do not require you to sign a long-term contract. You will be thrilled by the professional service you receive as well as the green, lush lawn we can create. Call now and enjoy your first treatment for just $29! If you want your grass to remain lush, green, and healthy, you need the help of the highly trained lawn care professionals at Nature’s Turf. We will go the extra mile to make sure that your grass is the best on the block. With our customized approach to lawn care, you can depend on receiving individualized service that meets your budget and your desires for your lawn. You will be amazed at the quality of service we provide with our Sharpsburg lawn care program. Maintaining the health and appearance of the trees and shrubs in your yard can ensure your curb appeal is always outstanding and that your trees don’t pose a risk to anyone around them. In Georgia, pests and disease can affect the health of your shrubs and trees, and it is important to catch these problems early and treat them effectively. Luckily for you, our tree and shrub specialists can do all of the maintenance that these lawn elements require so that you don’t have to worry about it. Fire ants are more than just unsightly, they can bite and hurt your kids and pets. Lawn grubs wreak havoc on your grass and can take it from green to brown in a short amount of time. Thankfully, we can help. With the lawn pest control experts at Nature’s Turf on your side, you can be sure that you will not be worrying about these insects and creepy crawlies for long. 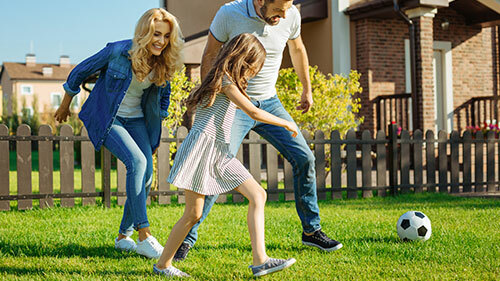 We know precisely how to take care of these pests to keep your lawn free of all the unwanted bugs that may be causing it issues while also being gentle on your grass at the same time. Also known as core aeration, having your lawn aerated involves removing small soil plugs from your lawn to help fight the compaction of the soil. If there is a buildup of dead grass in your yard, it can be difficult for the living grass to gain access to the air, sunlight, and water it needs to thrive. Utilizing our lawn aeration services can give your yard the fresh start it needs to thrive. Mosquitoes in our neck of the woods can quickly multiply and overtake a yard. Not only can they make you want to avoid your beautiful yard altogether, but they also carry diseases, putting you and your family at risk for dangerous illnesses. Our Sharpsburg mosquito control services will eliminate existing infestations and prevent new ones from occurring by ridding your yard of mosquito breeding grounds. Enjoy spending time outside of your home when you allow us to treat your lawn.